A few months ago, Amazon banned USB-C cables Highlights From Microsoft Build 2016, Your USB Cable Could Be Dodgy... [Tech News Digest] Highlights From Microsoft Build 2016, Your USB Cable Could Be Dodgy... [Tech News Digest] A guide to the latest Microsoft happenings, Amazon is cracking down on USB-C cables, the FBI's iPhone crackers, Google Photos lets you edit photos, and the scariest AI short you'll ever see. 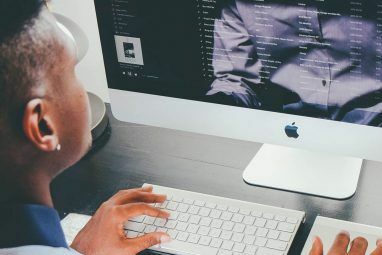 Read More that did not meet the standards set forth by the USB Implementers Forum (USB-IF), and for good reason: such cables are prone to failure, can damage connected devices, and even catch fire. Not to be mistaken for USB OTG What Is USB OTG? 5 Cool Ways to Use It on Android What Is USB OTG? 5 Cool Ways to Use It on Android What is USB OTG and how can you use it on Android? We explain the feature and the many ways to utilize it. Read More , USB-C is the latest iteration in USB design that finally provides a one-size-fits-all plug What Is USB Type-C? What Is USB Type-C? Ah, the USB plug. It is as ubiquitous now as it is notorious for never being able to be plugged in right the first time. Read More — no more confusion between Mini-USB and Micro-USB. 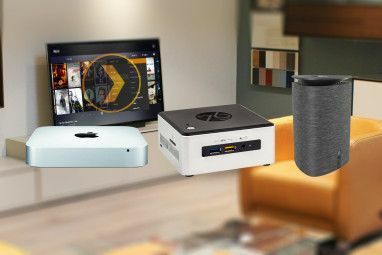 In theory, this is great as it standardizes all kinds of device ports Thunderbolt 3: What It Is & Why You Need to Start Using It Thunderbolt 3: What It Is & Why You Need to Start Using It Thunderbolt 3 may just be the only device cable you need to know about anymore. It's so awesome that it's making everything else obsolete. Here's what you need to know. Read More . Indeed, everyone should know about USB-C going forward 10 Acronyms and Their Meanings You Need to Know in 2015 10 Acronyms and Their Meanings You Need to Know in 2015 Technology still continues to improve dramatically and 2015 is certainly no exception. But, with new technology comes new terminology, and with new terminology comes new acronyms. Read More . But this whole fiasco with defective cables may hold back, or even revert, all of this progress. Here’s what YOU need to know in order to keep your devices safe and not waste your money. How Dangerous Are Bad USB-C Cables? In November 2015, a big story began circulating about how one of Google’s engineers, Benson Leung, had reviewed most of the USB-C cables available on Amazon and found them severely lacking — even one provided by smartphone manufacturer OnePlus. You can still read his Google Plus post [no longer available], in which he warns that OnePlus’s Type-C-to-Type-A cable could cause damage to any charger, USB hub, or USB port used in conjunction with it. And then in February 2016, another story went big — this time, Leung’s test of a Type-C-to-Type-A cable from Surjtech fried his Chromebook Pixel. Not only were the USB-C ports damaged, but the Pixel also suffered from a burned-out embedded controller, rendering the laptop unusable. His autopsy revealed that the cable was completely miswired by the manufacturer and used all kinds of wrong components. Oops. So why don’t these problems exist with other versions of USB? Primarily because USB-C allows for a lot more power, which is one reason why USB-C is so anticipated in the first place. If something goes wrong, there’s more energy involved, and that means more potential for damage. Another big concern on people’s minds is whether or not these defective USB-C cables can cause even more serious damage, like electrocution or electrical fires. Fortunately, you don’t really have to worry about that, at least to a degree. When any kind of power-charging cable is pinched, torn, or otherwise damaged, it can lead to a short circuit — that’s what can cause injuries and fires When to Throw Away Your Fraying Cables & Phone Chargers When to Throw Away Your Fraying Cables & Phone Chargers Let's cut to the chase here — in a benevolent ploy we only really want you to read this article for one reason: to throw away those shredded, damaged chargers NOW. Read More . But that’s a more general issue, not one specific to USB-C. In any case, if you’ve been hearing about the dangers of USB-C cables and thought it was all just exaggeration, we urge you to be more careful going forward. A bad cable could cost you hundreds or thousands of dollars in damages to your devices. The key point that we want to emphasize here is that there’s nothing to fear about USB-C itself. The real problem is in the manufacturing of said cables, which means you should only fear poorly-made USB-C cables. The USB-C standard itself is perfectly safe. Here are some important things to look for to minimize your risk of wasting money on a defective or unsafe USB-C cable. As a consumer, you don’t need to understand the nitty-gritty details of USB-C specifications. Besides, it’s not like you can just look at a given cable and determine whether or not it was built correctly — especially when ordering off the Internet. That’s why you need to know the different certifications that are available and how to identify when a USB-C cable is compliant with said specifications. The USB-IF has a number of logos that indicate different levels of standards compliance. Check out the official USB-IF Compliance Program details to see more about what these mean. In short, a cable with any of these logos is a safer bet than one without. Note that a certified cable doesn’t necessarily mean that it will be perfect. There are other factors to consider — such as quality of materials and how rigorously they’ve been tested — but USB-IF’s certification is a good sign. As you can see, the USB-C standards are pretty complex, especially compared to previous versions of USB. This complexity has led to a lot of confusion among cable manufacturers, and many of them aren’t taking the time to truly understand what’s required of them. And as you might have guessed, a lot of the problematic USB-C cables are coming from no-name, bargain-basement, knockoff manufacturers. These low-rent players operate on a race-to-the-bottom business model that can’t afford proper testing and quality assurance. 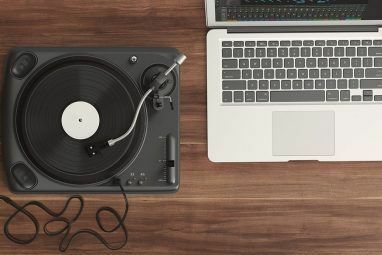 This is one area where it pays to spend a bit more for peace of mind Stop Buying Cheap: 7 Tech Products Worth Spending More On Stop Buying Cheap: 7 Tech Products Worth Spending More On Sometimes the best way to save money is to spend a little more on a quality product that'll last you a while. These products are worth the extra dollars. Read More . After all, a cheap untested USB-C cable costs between $2 and $5 whereas a tested and trusted USB-C cable costs about $8 to $12. Is a $6 to $10 difference worth the risk? 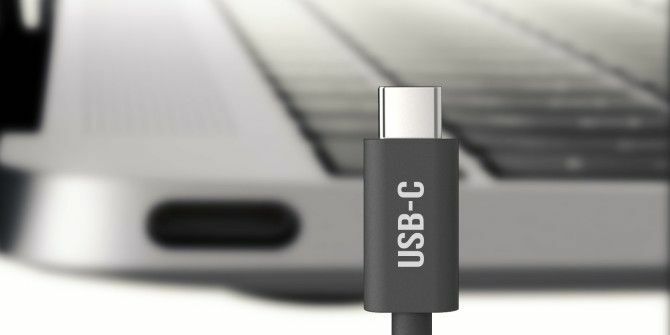 When in doubt, you can always consult USB-IF’s list of certified USB-C cables, though it isn’t the easiest list to browse if you’re looking for something quick and instantly informative. For that, we prefer using the USB-C Compliant Cables guide, which is a compilation of USB-C cables that were reviewed by Benson Leung himself and found to be compliant with standards. Broken into five categories, the site is easy to navigate. If you come across a relatively unknown USB-C cable, you can refer to Benson Leung’s history of in-depth USB-C cable reviews. He has made it his mission to test and review every single one that pops up on Amazon, and you can read all of his reviews right on his Amazon profile page. The Belkin USB-C cable ranks at the top of Amazon’s USB-C cable catalog. It scores an average of 4.8 out of 5 stars. Anker’s USB-C cable falls just a tenth of a star below the Belkin USB-C cable. It scores an average of 4.7 out of 5 stars, although it costs a fair amount less than Belkin’s model. TechMatte’s USB-C cable is both the shortest and the most inexpensive out of all the USB-C cables listed here. It averages 4.5 out of 5 stars on Amazon. This isn’t the first time that USB has caused problems for everyday folks. For example, USB malware will always be an issue Why USB Sticks Are Dangerous & How To Protect Yourself Why USB Sticks Are Dangerous & How To Protect Yourself USB drives are so pervasive in today’s world of technology, but when they first debuted, they revolutionized data exchange. The first USB flash drives had an 8MB capacity, which isn't much by today’s standards, but... Read More for those who are careless. But that doesn’t mean you should stop using USB drives Are USB Flash Drives Still Worth It In 2015? Are USB Flash Drives Still Worth It In 2015? USB flash drives are great for storage, but they have so many other uses. Here's how they're worth their weight in gold. Read More , does it? In the same way, just because there are fault-prone manufacturers out there doesn’t mean we should throw the baby out with the bathwater. USB-C is already changing the gadget landscape Should the New MacBook's Single Port Scare You Away? Should the New MacBook's Single Port Scare You Away? Apple recently revealed the new MacBook, and it's a jaw-dropper — but it also has only a single port. Was this a blunder, or a sign of the future? Read More , and if you ask me, it’s for the better. As long as you buy from reputable sources and store your cables in a safe and secure way Drowning In Cable Clutter? Cable Storage Tips To Tidy Your Home Drowning In Cable Clutter? Cable Storage Tips To Tidy Your Home Read More , you won’t have anything to fear. How do you feel about the whole USB-C fiasco? Does it put you off for good or are you still willing to give the tech a chance? Got any tips for buying safe cables? Let us know below! Explore more about: Amazon, Buying Tips, USB. "For that, we prefer using the USB-C Compliant Cables guide, which is a complication of USB-C cables that were reviewed by Benson Leung himself and found to be compliant with standards."